Design a new label and create a 6 pack holder for a bottled drinking water brand. 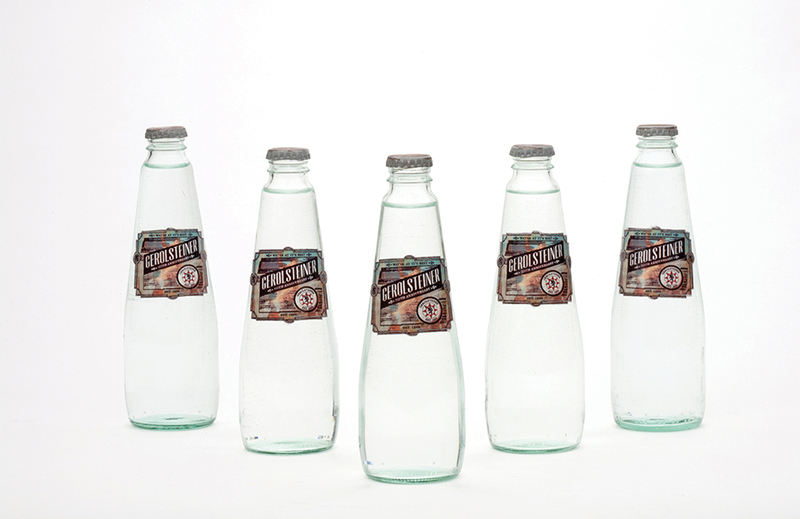 Choosing a company outside the US, Gerolstiener Sparkling Mineral water was giving a rejuvenating look, reducing to a simple design and giving the bottle a new refreshing look. A re-look into the history of Gerolsteiner Sparkling gave way to a rejuvenated approach. Tying in elements and motifs of the companies first labels while illustrating its cultural background. The new label and a touch of the old, applied with new look and feel. 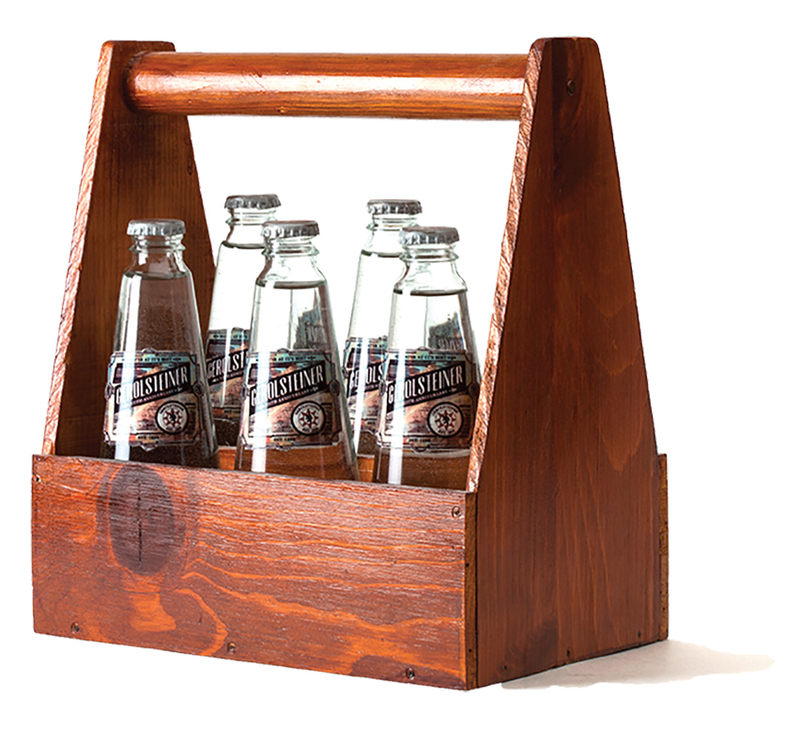 While the labels holds on its own, the recycled wooden holder adds the finishing rustic touch.